Hanji Naty (한지나티): "Teaching Hanji to Korean students?" Ya' right! "Teaching Hanji to Korean students?" Ya' right! A few weeks ago, I received a surprising message from one of my dear Korean friends. 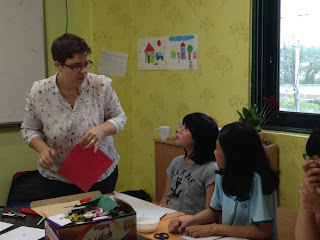 Being the manager of an English hagwon (학원, Korean academy where students study in the afternoon and evening), she was looking for a special activity for her middle-school kids. 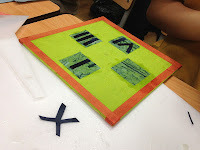 Something fun and hands-on, that would interest the students. "Natalie, how about teaching Hanji to my Middle-school students?" Me? The foreign girl? Teaching a traditional ancestral Korean craft to... well... Korean students? It's like asking a South-African to teach Canadian kids how to tap maple syrup. I wanted to scream : "You're kidding, right?" Instead I said : "Sure." And that's how it happened. 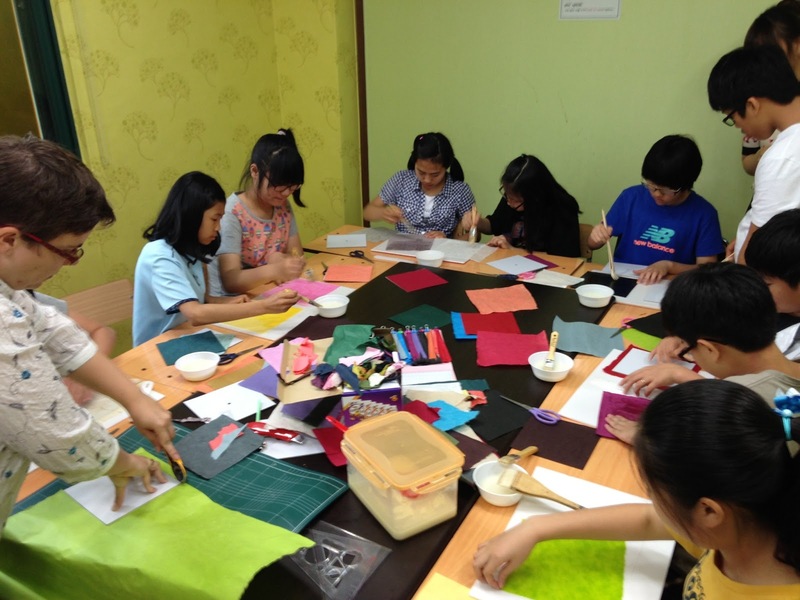 How I ended up leading my very first Hanji workshop with a group of 11 Korean Middle-school students. What to teach them? And how? After thinking of different options (pencil cases? hand mirrors? pen holders?...) 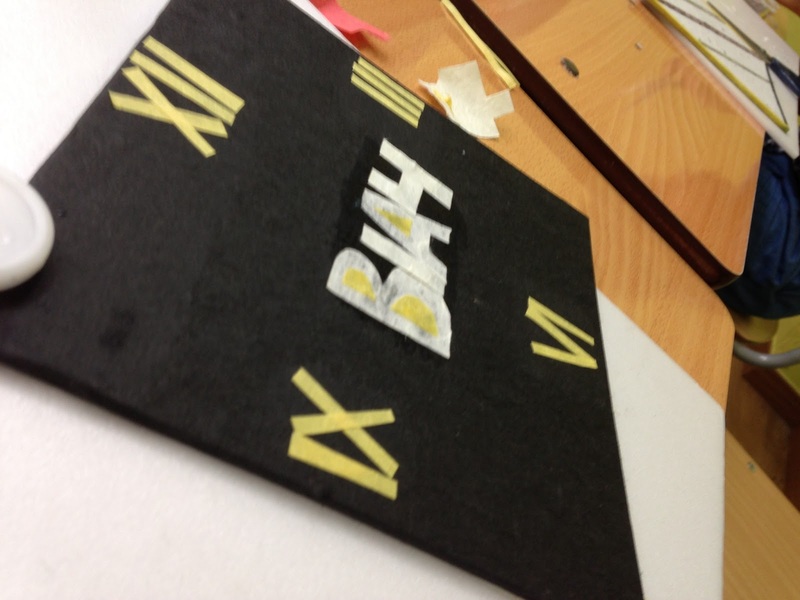 I decided to make clocks with my students. 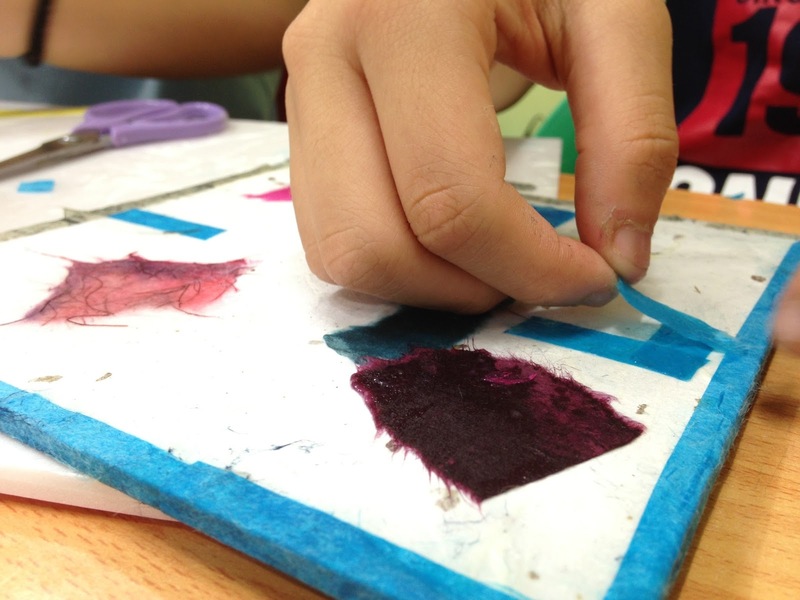 I wanted to give them a canvas that was easy enough to work with - no need to struggle with the tiny corners of a pencil case, or the unreachable bottom of a pen holder - but that was big enough that they would have leeway to imagine, design and create something that is truly their own. 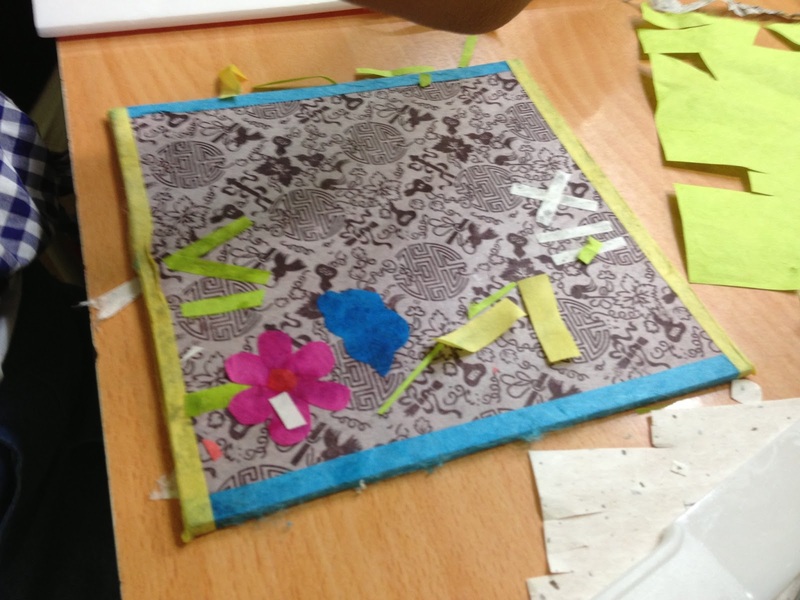 That was really the goal of this workshop for me : show the students that Hanji can be anything, take many forms and really allow them to be creative, free-spirited and imaginative. My beloved husband (and helper for the workshop) had the brilliant idea to use Roman numerals on the clocks. It'd be a very interesting thing for the students to learn, and it would allow them a lot of creative freedom, using color strips of different lengths and widths. I was expecting that many of them had already done Hanji crafts in the past (it's a popular activity for Elementary school students in Korea) so I wanted to offer them the option of creating something different. There will be no pre-cut patterns, no limits in the choice of colors or designs and no strict indications: I wanted to let their imagination run free, and really see what they could do. 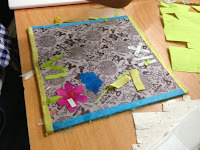 At the beginning of the workshop, the students were very quiet. They were listening carefully to my explanations, but weren't very reactive. I told them a little about me, my discovery of Hanji and how it became such an important passion in my life. Afterwards I told them about the clocks we were going to make: I insisted on the fact that they are completely free to do it anyway they want, with the colors they want, without any limitations. I told them : "You will not hear You can't do that! tonight. Anything is possible." And they we began! The classroom quickly became this beautiful, colorful mess, full of paper strips, tubs of glue, giggling and laughter. 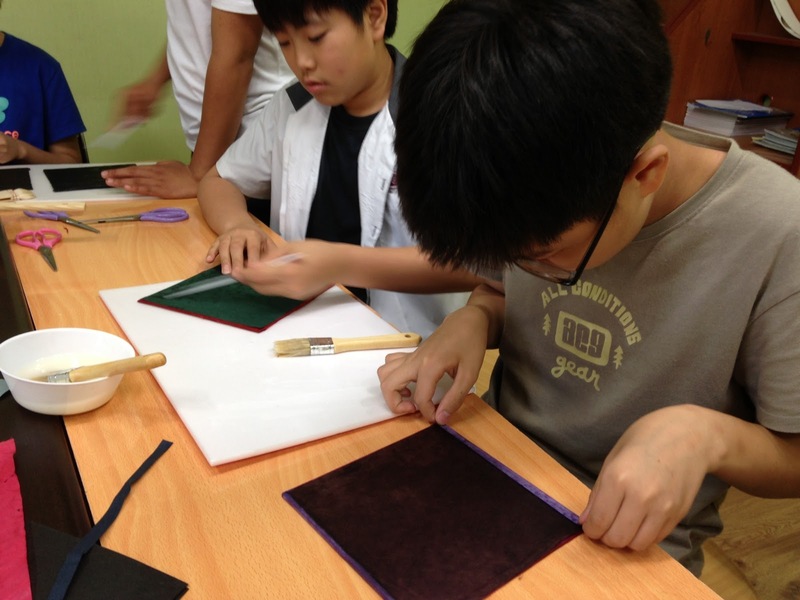 As soon as we began handling the Hanji paper, I quickly realized how different the students were from one another. Their generic look (same hair cuts, school uniforms, dark-rimmed glasses) might lead us to believe that they all think and create the same way, but we couldn't be further from the truth. Each and every one of the students took a different and unique approach. 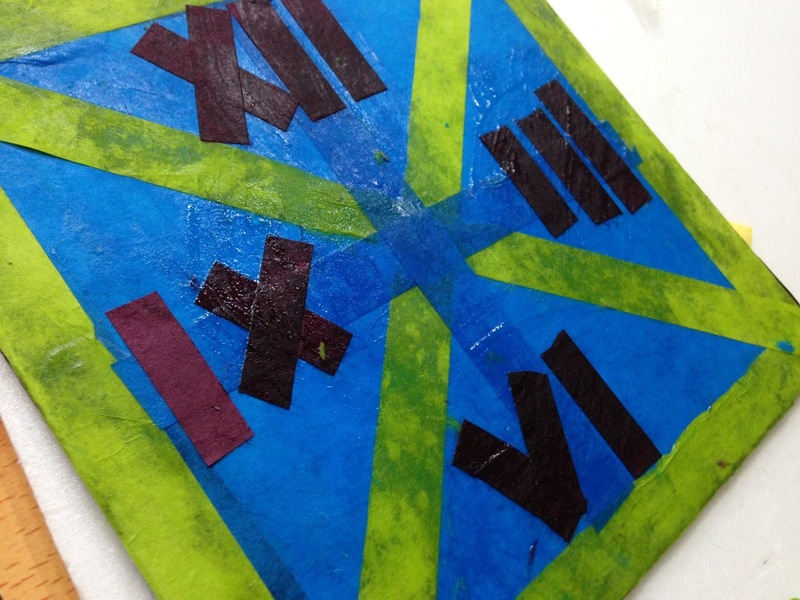 I didn't have two students who chose the same color for the background of their clocks; they all took different paths to make their own design. Some students took a classic approach and made very symmetrical clocks: they used bold colors, striped patterns and geometrical patterns. 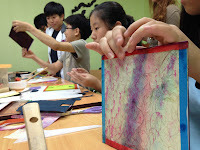 Some students were ripping paper with their hands, creating very organic clocks, with many different colors and fantastic textures. Some students went even further and added origami flowers, faces, rabbit ears and moustaches to their clock.One student even put the name of her favorite K-Pop idol band B1A4 on her clock. Some students even decided to use a black marker to write directly on the Hanji paper! My first reflex was to stop them from doing so, but then I remember my own rule, anything is possible! It was wonderful to see how, with the same material and the same square canvas (and a limited amount of time) the students were able to create clocks that were so original and different from one another. What does Hanji say about you? Even if I don't know those students well (I was meeting them for the first time the night of the Hanji workshop), in a few hours I was able to learn quite a bit about their personalities, characters and interests by looking at their work and, more importantly, by looking at them work. Some of them were concentrating on their task, working carefully and silently, with their faces very close to the paper. Some others were chit-chatting among themselves, reacting to each other's pattern and color selections. A few kids casually asked for my help or my advice, while some of their classmates politely declined my offers to assist them in their work. While I was teaching them, I was constantly thinking of my own Hanji teacher, who has always given me room to explore, choose and create. I know my choices of colors or patterns have often surprised or puzzled her, but she's never tried to slow me down. She never imposed her vision of what Hanji is supposed to be. I did my very best to give the workshop students the same space and freedom to create, while not insisting on the technical aspects of Hanji; I assumed they can learn that later, if they develop a real interest for the craft. I consider this very first Hanji workshop to be a success. The students seem to be very happy and proud of their creations, and so was I! I really hope to have the occasion to repeat the experience in the future, with those students or some other ones. 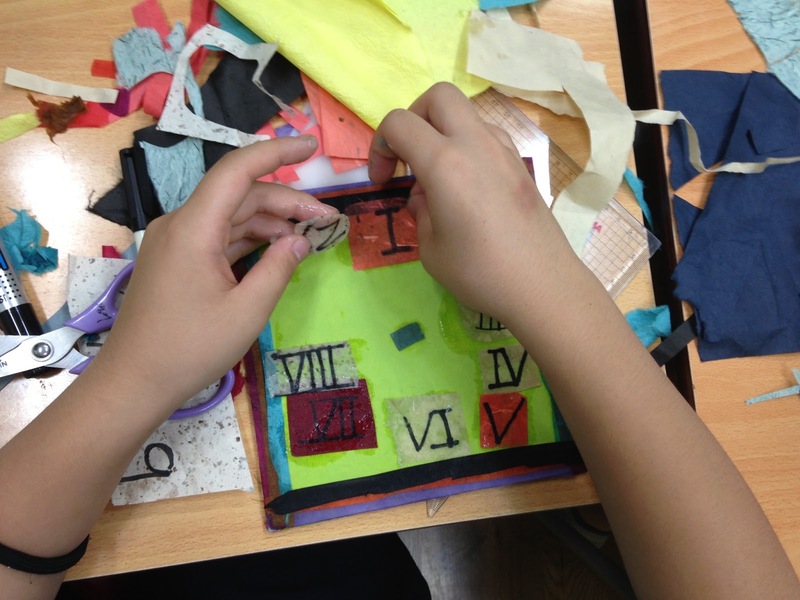 I strongly believe that giving the students a chance to express their inner creativity (through arts and crafts, as well as music, writing, dance or any form of artistic expression) is essential to their growth, not only as students, but as human beings. 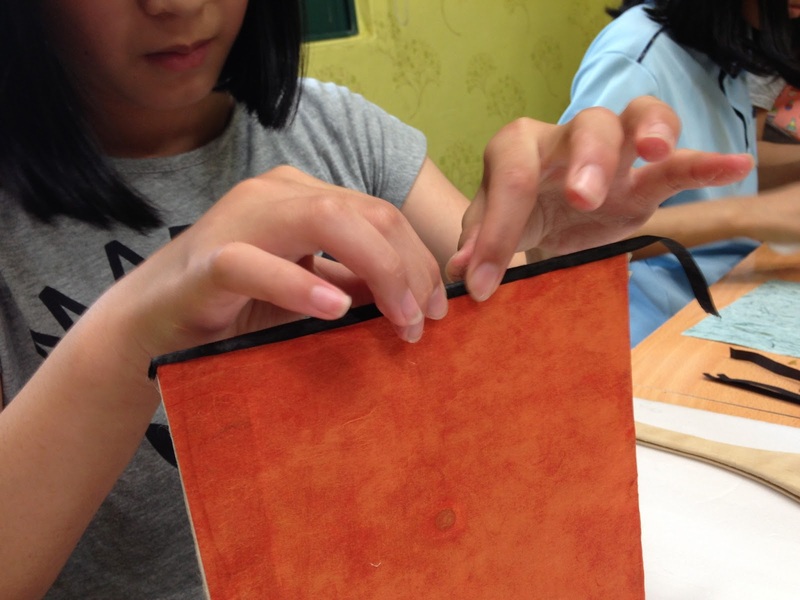 It was also important for me to show them that Hanji can be a modern craft, despite its traditional roots. It doesn't have to be conventional; it's a versatile and timeless medium that can be used in some many ways! I wanted to let them experiment and show them that arts and crafts don't have to come from a kit, and most importantly, don't necessarily have to follow a specific pattern. You just have to give it a try, let your imagination run free and allow yourself to be inspired by the material. And if, as their Hanji instructor, I was able to make them see that there are no limits to what a person can do when he or she really wants to invest himself or herself into it, then I'd be the happiest Hanji-loving foreign gal on Earth! Natalie, the eleven Middle-school students and their gorgeous Hanji clocks.